Platinum engagement rings are skyrocketing in popularity. They’re beautiful and known for not leaving rashes on fingers like some other metals do. But for the price point, you probably have some questions. Other than rash-free comfort and a pretty aesthetic, what makes platinum such a great metal for engagement rings? Don’t worry! That’s why we’ve come up with the top 3 reasons to buy a platinum engagement ring over other metals. You’ll likely never have to replace it. While platinum isn’t impervious to accidents and unforeseen situations that may lead to it breaking, it will never lose its colour or shine like other white metals do. That may not seem like a huge deal, but hear us out. This means that you won’t have to replace it every few years to keep it looking as beautiful as your wife. This means that you’re spending less money on a platinum ring over the course of years than on other rings that will need to be fixed and replaced regularly. There is no maintenance with platinum rings. Other white metals, like silver, tarnish over time and with wear. They require a lot of serious cleaning to keep them looking nice, and they will eventually have to be replaced. With platinum, however, a quick steam clean every once in a blue moon can keep it looking brand new. 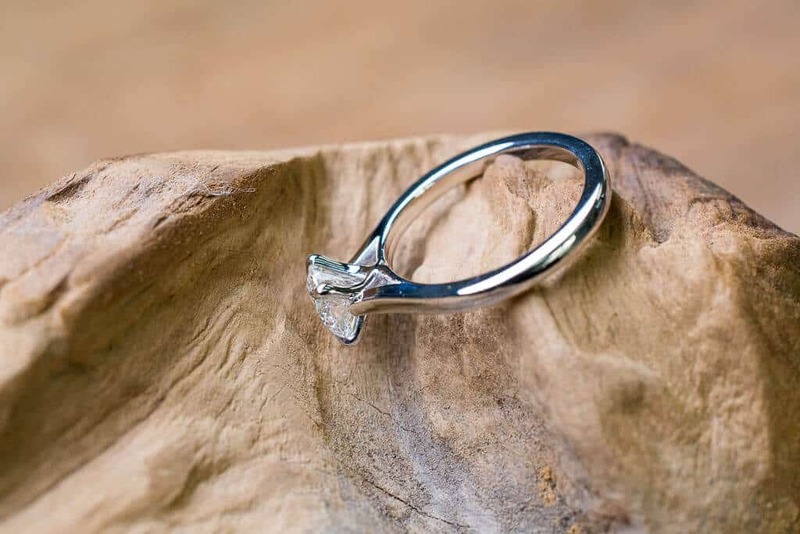 While it is recommended that you have a professional jewellery do this process, it still means that you spend a lot less time and money keeping your engagement ring looking perfect. A platinum ring is timeless. 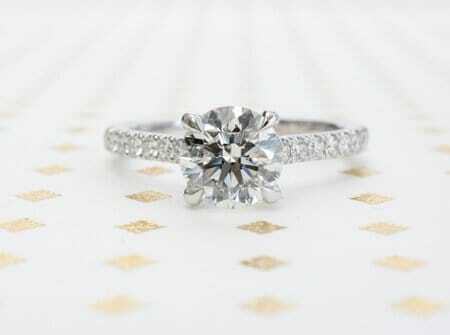 One of the reasons that white engagement rings have grown in popularity is that they match everything in your closet. This means that your fiancé is free to follow whatever fashion trends may come up without worrying that her beloved ring will clash. The reason platinum is preferable to other white metals is that it has the silkiest polish and whitest shine. This means that even with the deepest of black dresses, her ring will look fabulous. Now that you understand what’s made platinum so popular, you can understand why it’s worthy to be on your fiancé’s finger. It’s a way to say I love you now and from now on. It’s something she can look at and remember the day you gave it to her whether she’s gazing at it today or 30 years from now.